I love to sit down and relax with a good cup of tea in the evening. I also like a little sweet treat to go with it. I’ve been trying to make smart snacking choices to keep my health and weight-loss goals in line, so I was excited to have the opportunity to try something sweet and delicious to go with my evening tea without derailing my diet goals – Almondina cookies. These cookies are thin, crispy, and very flavorful. I decided to try the Choconut first since it combines two of my favorite flavors – chocolate and almonds. They’re only 133 calories for four cookies, so I had no guilt having them with my cup of tea. The flavor and the crunch is so fantastic – I could have easily eaten the entire carton in one sitting! These cookies are so fantastic – it made me excited to try all the other flavors. Not one disappointed. They are all so great – perfect for a nightly cup of tea, a morning snack, something to put out at a brunch or a get-together with friends. The sesame flavor makes for a great afternoon snack – just the right amount of crunch and a great flavor combo of savory and sweet to satisfy any cravings. I like that these cookies are low in calories and that there’s no added fat, cholesterol, or preservatives. It’s truly a treat – a tasty snack without the guilt! The 4 ounce trays that I received retail for $3.49 each on the Almondina site. They also have a store finder on their site with a list of places you can find the Almondina brand. Almondina is the inspiring success story of renowned symphony conductor Yuval Zaliouk – a man whose great loves include both music and wonderful food. For generations his family loved his grandmother Dina’s most secret cookie. Yuval wanted to share it with the world and he brought the cookies to the world market with her blessing. Within seven years, the cookies, which he named Almondina in honor of his grandmother, were available in all fifty US states and sought after in several foreign countries. The company is now “Celebrating a Delicious Crunch for More Than 20 Years” and its mission remains the same: to put a delicious healthful cookie on every table. If you’re like me and you like to satisfy your sweet tooth while staying on track with your healthy lifestyle, you can’t go wrong with Almondina. 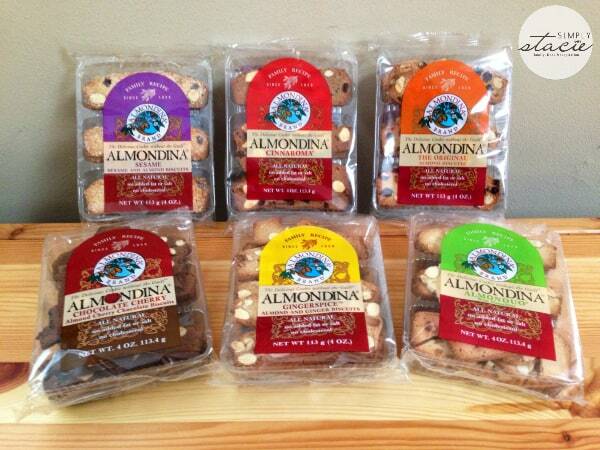 Check out the large assortment of flavors Almondina has to offer on their website. You can also find them on Facebook and Twitter. The Chocolate Cherry sounds delicious. These sound like great cookies, love anything with almonds! Chocolate Cherry sounds really good. I would like to try the gingerspice especially! 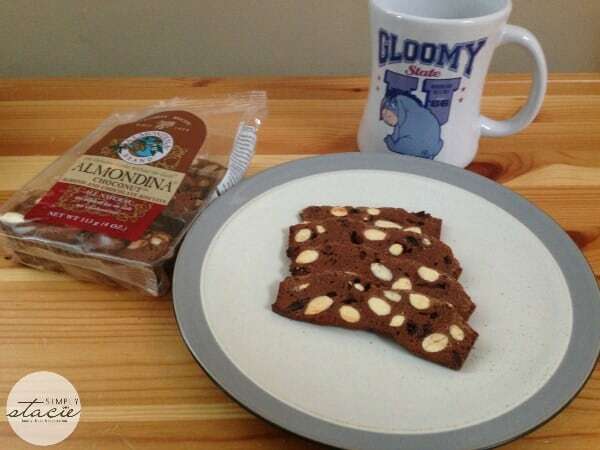 I have seen reviews for Almondina on other websites but I have never tried Almondina. I would love try the Choconut and Cinnaroma. Thank you for this review. Wow, they look amazing. Wonder if they are similar to a biscotti as it looks like almond slices in the cookies? They sound delicious and would be fantastic with tea, I agree. They look and sound delicious. I’d love to try the chocolate almond. I love the story behind the cookie. A grandmother’s recipe that makes it big. Those make the best products. I have been wanting to try these cookies, but I didn’t think they looked like they would taste good. I’m glad I read your review cause I’m eating clean and these will fit in perfect with my diet.